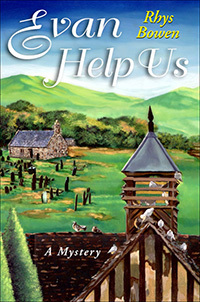 Evan Evans, a young police constable, has traded city life for that of Llanfair—an idyllic Welsh village. 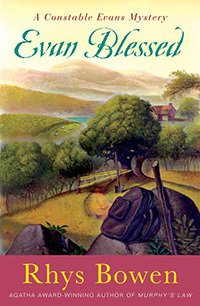 Nestling in the Snowdonia mountain range, Llanfair looks to Evans like a town forgotten by time, but he quickly learns that even the bucolic countryside has its share of eccentric—and deadly—characters. Evans’s new neighbors include two competitive ministers vying for the souls of their flock, one lascivious barmaid, and three other Evanses: Evans-the-Meat; Evans-the-Milk and Evans-the-Post (whose favorite hobby is to read the mail before he delivers it). Before Evans has time to sort through the complicated relationships and rivalries of his new home, he’s called to the scene of a crime as brutal and fearsome as any he encountered in the big city. Two hikers have been murdered on the trails of the local mountain, and Evans must hunt down a vicious killer—who may or may not be linked to the mysterious destruction of Mrs. Powell-Jones’ prize-winning tomatoes. Evan Evans is settling into his role as Constable of Llanfair, a small town nestled in the mountains of North Wales. Here, he has been a mediator of the minor disputes of the locals, between competing ministers, country merchants, and seemingly every Welch eccentric throughout the region. But an unusual series of events brings unseen hostilities to light, and Evan realizes just how deep the townsfolk’s passions and hostilities lie. While the village of Llanfair has always been at odds with the neighboring town of Beddgelert, an intriguing archeological find in the nearby hills brings that rivalry to dangerous extremes, and creates a circus of local enthusiasm and gossip. The circus quickly turns deadly, however, when Llanfair’s prodigal son, Ted Morgan, announces plans to erect an amusement park over the site’s excavation. Soon Constable Evans is drawn into a whirl of cultural pride, deception, and greed, and while he’s at it uncovers the town’s undaunted ambition—to earn the right to the longest name in the world. 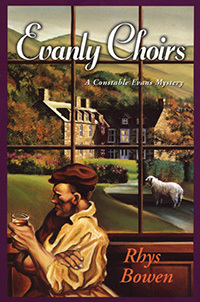 When Constable Evan Evans is persuaded to join the local male choir for the upcoming eisteddfod (cultural festival), he doesn’t think the addition of his mediocre voice will do them much good. In spite of all the effort that choirmaster Mostyn Phillips puts in to the choir, it is not exactly first class. Hope arrives in the form of world renowned tenor Ifor Llewelyn, come home to Llanfair to rest, on doctor’s orders. Llewelyn immediately sets about renewing old friendships, and Mostyn even persuades him to sing with the choir. But Ifor isn’t in Llanfair long before the residents decide that his presence is a mixed blessing. Noisy fights between Ifor and his wife, a threatening stranger, and Ifor’s own warped sense of humor make life in Llanfair increasingly tense. When he announces that he is planning to write his memoirs, telling all about his numerous relationships with famous and infamous women, he jokes that some people won’t be happy. But is someone unhappy enough to commit murder to stop him? 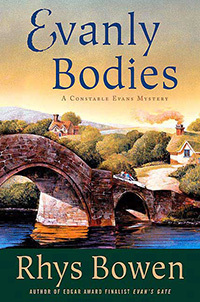 While tracking down a dangerous killer, Constable Evans also manages to navigate the treacherous waters of neighborhood rivalries, lusty barmaids, and local gossip. Evan Evans is assigned to assist an expedition to raise a World War II German bomber plane from a lake. The whole venture is being filmed for a documentary on World War II and Evans tries to assist the film crew by finding them local people with stories to tell. Little does he realize that resurrecting the past can sometimes mean opening old wounds. After some unhappy confrontations, it is not just the villagers who are upset by the filmmakers. Evans’ own life is thrown into turmoil as he discovers his girlfriend Bronwen’s past relationship with someone from the film crew. Tensions build until one of the filmmakers disappears and is eventually found dead in a nearby slate mine. The case grows more complex as Evans slowly uncovers evidence that the victim had many enemies. In the process Evans also exposes an elaborate World War II scheme to hide paintings from the National Gallery. Do these paintings have something to do with the filmmaker’s disappearance? How could he be connected to events that took place over half a century ago? The charming village of Llanfair sits amid lush, rolling Welsh meadows populated with quaint cottages and is considered by many of its colorful locals to be a kind of paradise. Unfortunately, there aren’t many opportunities for young people in Llanfair, so when an exciting and glamorous American woman breezes into town talking of dormant psychic powers and important social research, barmaid Betsy Edwards is quick to take her up on an offer of employment at the recently opened Sacred Grove New Age center not far away. 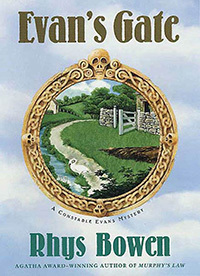 Of course the locals, including the village constable, Evan Evans, think Betsy has gone around the bend, not to mention the nutty American who dragged her off to be “tested.” Betsy, though, is dazzled at the possibility of exploring her own sixth sense. And she’s only a little surprised when her new powers are put to a real-life test; when the center’s flamboyant director goes missing, clues to his fate mysteriously appear in Betsy’s dreams. It’s a tantalizing mystery for lonely Betsy, who can’t help doing a little investigating on her own. But Constable Evans has been involved with Sacred Grove before-looking for a missing American college student who was lured there by Druid worship. As Betsy does her own sleuthing on the spot, Evan comes to realize that there is nothing straightforward about this case and that Betsy has no idea at all of the terrible danger she is in. 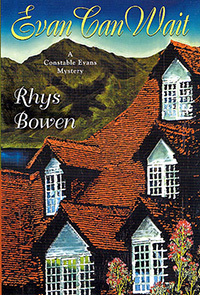 When Constable Evans and his new fiancée decide to travel south from home in Llanfair, Wales, to visit his mother in Swansea, they’re not expecting the disturbing news that greets them on their arrival: the young thug convicted of murdering Evan’s father several years earlier is suspected of murder once again. Tried as a juvenile for Evan’s father’s death, Tony Mancini only served four years in prison. Now he’s been accused of killing Alison Turnbull, a local teen and the daughter of Mancini’s boss. But when Evan goes to meet the boy face to face he’s surprised to find not the stone-cold killer he expected but a scared young man who swears his innocence. Against his own wishes, and ignoring his superiors, Evan believes the boy’s claim of innocence and decides to investigate, at potential peril to his career. But is his instinct correct, or is Mancini just trying to save himself? And how will he reconcile his actions with his memory of his father’s murder, which has haunted him for so long? 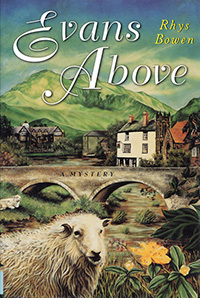 When Constable Evans discovers a beautiful shepherd’s cottage in the mountains of Llanfair, he and his fiancée are thrilled. It’s only months before their wedding and they are eager to begin their new life together. The cottage is in need of renovation, so Evan wastes no time before he begins making much-needed repairs. But it turns out that Evan’s discovery extends far beyond the beauties of a mountain-top view and a cozy dream-house when Evan finds the skeleton of a child buried in the front yard. His professional inclinations soon get the best of him and he cannot rest until he discovers the identity of the child. The skeleton is decades old, but the discovery eerily coincides with the case of a present-day missing girl. Although discouraged by his fellow detectives, Evan dives into the mystery of both missing children. He soon realizes that if he can solve the decades-old death, he just might find a crucial insight into the whereabouts of the child missing in the present day. Constable Evan Evans is almost done planning his wedding. Just as he is ready to relax, he meets a hiker whose girlfriend has gone missing on Mt. Snowdon. A search for the girl yields no trace but instead turns up a bunker complete with chains and handcuffs. Are the two related? And if so, where is the girl being held? A series of clues make Evan and the police realize that they are dealing with a clever but twisted mind. Then a second person vanishes and this time Evans knows the victim: his fiancé. 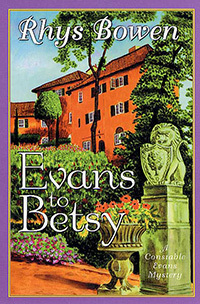 Her disappearance makes Evans realize that the culprit’s vendetta might be quite personal—and directed at Evans himself. 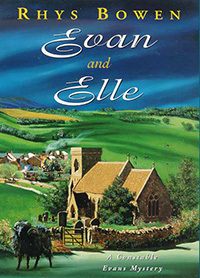 Detective Constable Evan Evans and his new bride, Bronwen, are settling into married life in their little cottage above the village of Llanfair when they meet the daughter of one of the village’s newest families, a sixteen-year-old Pakistani girl named Jamila. Bronwen and Jamila are becoming good friends when Jamila finds out from her parents that they have arranged a marriage for her back in Pakistan. 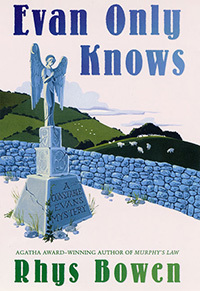 Evans tries to convince her family not to enforce the custom, arguing that Jamila is a normal Welsh teenager, but just as the tensions increase, the girl suddenly vanishes. Bronwen is distraught, but there’s no trace of her. At work, Evans is investigating the murder of a man shot to death through the open window of his home while eating breakfast. After the man’s wife is jailed as a suspect, a second man is killed—and then a third—and Evans and his team are on the hunt for a serial killer. But they can’t seem to find any connections between the three men. In the surprising climax, Evans risks everything to solve the murders and discover what happened to Jamila.